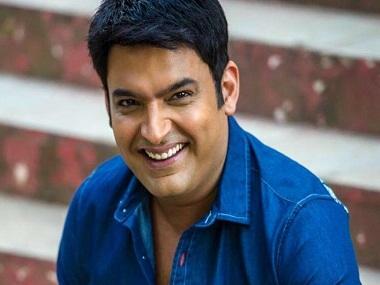 It was earlier reported that Chandan Prabhakar had returned to The Kapil Sharma Show three months after quitting the show following the infamous tiff between Sharma and his longtime associate Sunil Grover. Now, the Times of India reports that Sharma has also roped in comedienne Bharti Singh, along with her fiance Harsh, for his show. While Bharti is known to be a close associate of Sharma's rival, Krushna Abhishek, she has chosen to join The Kapil Sharma Show instead of Krushna's upcoming show with Preeti Simoes, ex-producer of The Kapil Sharma Show. Bharti and Krushna have previously collaborated on shows like Comedy Nights Bachao and Comedy Circus. However, this time, Bharti has decided to opt for The Kapil Sharma Show. Another report by the same daily quotes Krushna as saying, "I will definitely miss Bharti in this show. I wish she was also there with me, but she can't do that since she will be doing something different at that time. I have an amazing equation with Bharti. I really love her." The previous report states that Harsh has been brought onboard to write the script for Bharti, with whom he shared the stage in Nach Baliye 6 earlier this year. Also, the report states that Navjot Singh Sidhu, Kiku Sharda, Sumona Chakravarti, Upasana Singh and Supriya Shukla will be part of The Kapil Sharma Show. Will Krushna Abhishek replace Sunil Grover on The Kapil Sharma Show after the spat?